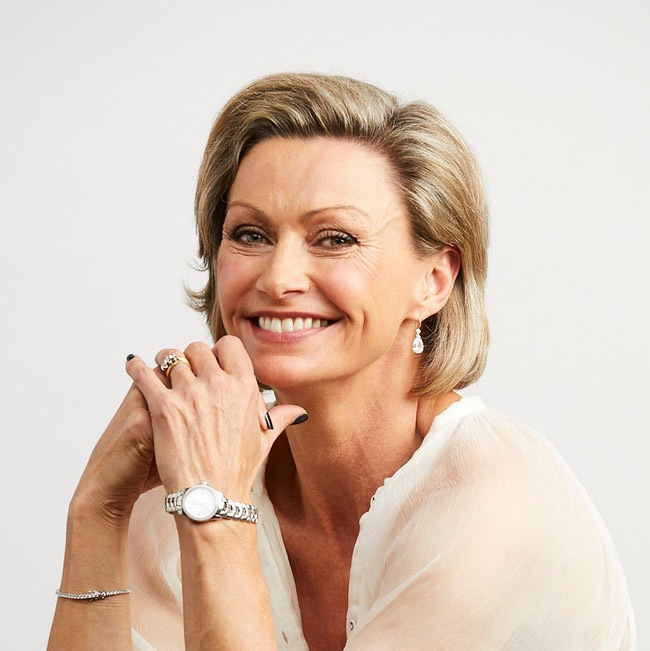 Nicky Buckley is one of Australia’s most recognised female faces. Nicky began her career in modelling before moving into television as co-host of Channel 10’s Perfect Match. She then became involved as a regular model on Channel 9’s hit show, Sale of the Century before gaining the position of co-host in 1994. During her six years in this role, Nicky became a well-respected household name. As we entered the new millennium, Nicky also entered a new phase of her career. With her long-running tenure on Sale ending, Nicky welcomed the opportunity to explore new directions and new opportunities. Throughout 2000 and 2001, Nicky was busier than ever. She played host to Hot Box Office and The Entertainment Guide on The Movie Network (Optus and Austar), she was New Idea’s resident Beauty Editor and was a presenter on the popular lifestyle program, The Cover on Foxtel which received great feedback. Nicky also enjoyed fill-in roles on radio whilst being in constant demand for corporate functions as MC or guest speaker. Nicky also presented a Family and Parenting segment on Good Morning Australia on Channel 10 and hosted a Parenting Segment on Channel 9’s top rating morning program The Today Show. Nicky’s public profile peaked again in 2005 as she appeared as a celebrity contestant on Seven Network’s top rating – Dancing With The Stars. Nicky showed great commitment, passion and determination as she danced her way through the series and proved to be a fierce competitor. In 2006 Nicky’s profile continued to grow and she hosted Talk To The Animals, a weekly animal lifestyle program on Nine Network. 2010 was another exciting year for Nicky. The first part of the year saw her host and present on Channel 7’s Guide to the Good Life. The program saw Nicky cover a range of stories including travel, food, entertainment and fashion. More recently, Nicky, alongside her husband, Murray, shot Making Tracks – a travel and lifestyle show for the Ten Network. Making Tracks taps into Australia’s enthusiasm for road trips and exploring the vastness of the country. Nicky and Murray travelled the length and breadth of Australia to uncover hidden secrets off the beaten track. 2011 saw Nicky co-host another series of Channel 7’s Guide to the Good Life as well as host another series of Making Tracks.